What is the population in Kenya in 2015 ? How large was the population in 2005 ? In 2000 ? In 1995 ? What can you conclude about the population of Kenya ? Write 3 sentences in English in your notebook. Now choose a different country (France ? United Kingdom ? USA ? Germany ? ) 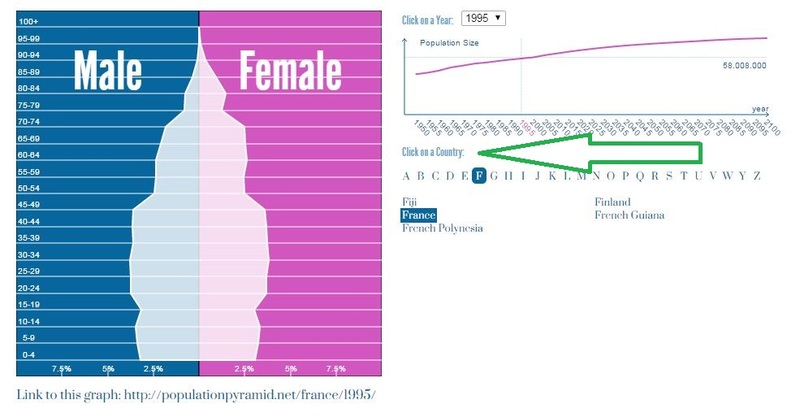 and simulate the population pyramid for the same years. Write 3 sentences about your chosen country. Now write 5 sentences to compare Kenya and your chosen country. Choose some statistics which interest you and note them in your exercise book to share with the class. You can compare Kenya with another country, as you did before. Activity 4 : What do Americans know about Kenya ? Click on the link to do a Listening Quiz. You must write your answers and your result in your English exercise book.